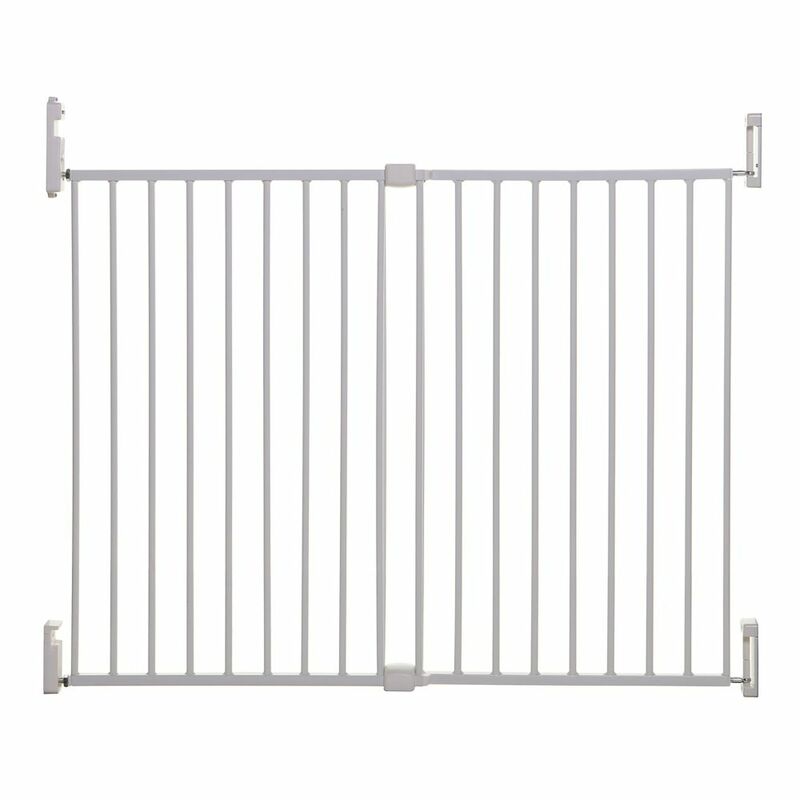 Broadway Xtra-Wide Gro-Gate - White Dreambaby Broadway Xtra Wide Gro-Gate with Track-It Technology is the ideal childproofing tool to protect children from danger and injury around the home. Featuring an innovative puzzle lock and one handed operation, simply lift the gate and follow it through the puzzle pathway to unlock. This hardware mounted gate will fit openings between 30 inch - 53 inch and measures 30 inch tall. The gate will swing open in both directions for easy walk through with no tripping hazards. Utilizing the reversible or removable tab, the gate can be limited to swing in one direction only making it perfect for top of stair use. The unique EZY-Check Indicator helps give you peace of mind by clearly showing if the gate is locked or unlocked. When unlocked the status indicator will be red and when locked and secured properly it will turn green. Dreambaby gates add both style and safety to your childproof home. Broadway Xtra-Wide Gro-Gate - White is rated 4.9 out of 5 by 15.